Football. Love it or hate it. The World Cup is here. Howling and cheering crowds of people dressed in different national colors, the beer flows in streams and even football haters risk a glance or two at the screen. From June 14th to July 15th the Fifa World Cup 2018 takes place in Russia. Here’s our top pick of best pubs, bars and rooftop gardens in London to enjoy football with your colleagues, friends or family. 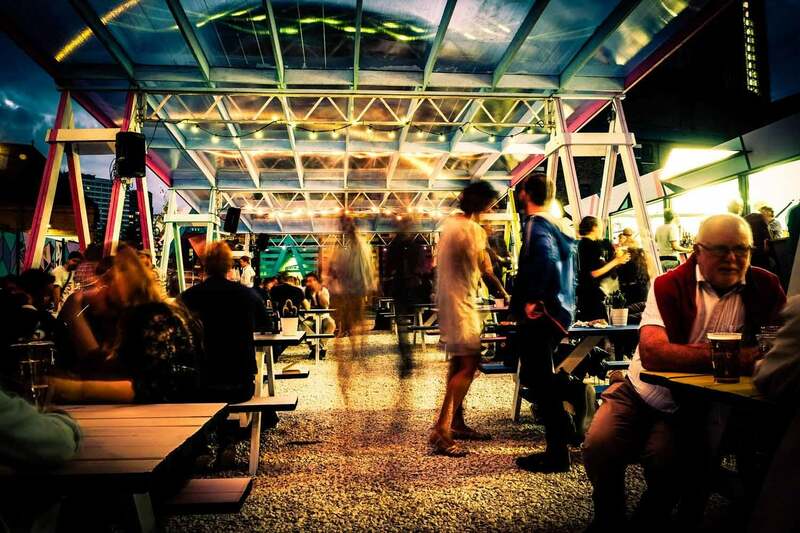 At the Pitch you can tuck into some fantastic street food and wash it down with a wide selection of craft drinks while watching the World Cup. The best thing about the Pitch: Entry to most games will be absolutely FREE and, even the most popular games will be ticketed at just £5 a head, including a drink on arrival. But don’t forget that the England games will sell out quick so get your bookings in now. 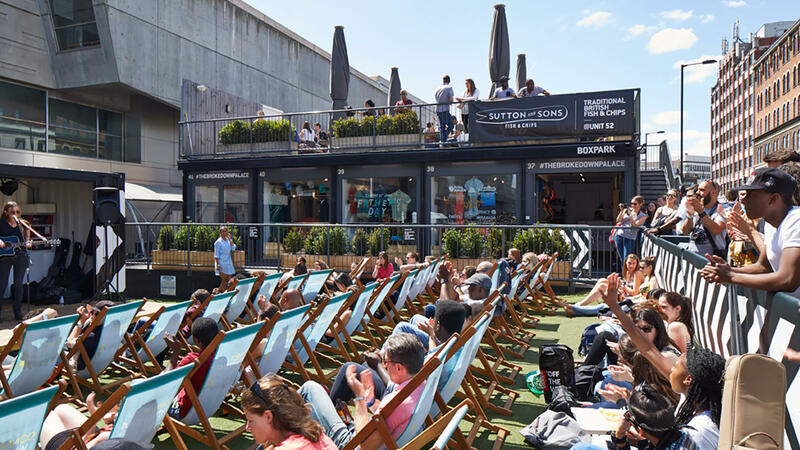 Boxpark, the world’s first pop-up mall is famous for creating its mini foodie villages out of refitted shipping containers but did you know that they are also going to broadcast the World Cup? Get your tickets here. The Merchant Square Screen in West London will screen a number of the FIFA World Cup matches on their Pavilion Big Screen over June and July. Support your team and chill out on comfy seating whilst enjoying from the amazing retailers or street food vendors! We all know the problem. Your girlfriend wants to go on a romantic boat ride but you want to watch the World Cup. Why not watch the World Cup on a boat? Budweiser’s “Bud Boat” will set sail down the Thames for 14 games during the tournament, with DJs keeping the party going long after the end of the game. Pre-booked tickets start at £10, find them here.